We’re very proud to be the first company to use fiberglass arms for light pole banner mounting. Not only were we the first, we changed the industry as a whole. 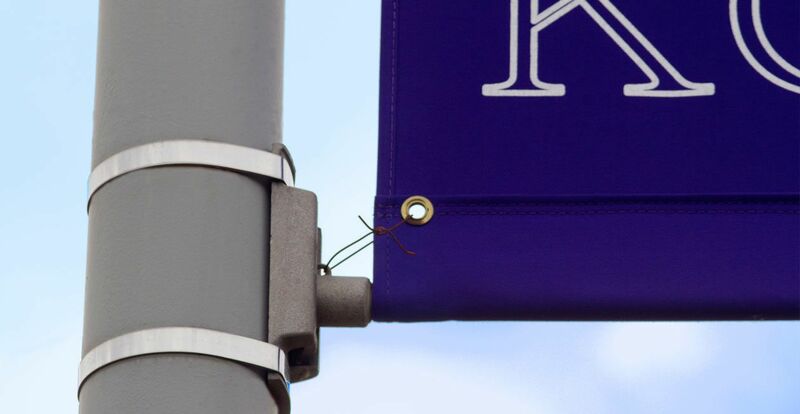 If you’re walking down the street and look up at a vertical street banner, check out the hardware that is holding the banner on the pole, chances are it will be a white or off-white pultruded fiberglass rod. This technology, that we developed over 30 years ago, is used by almost every bracket manufacturers. Before BannerFlex, the common material used for banner bracket hardware was steel. These steel brackets were constantly bent and distorted over time. As the banners lost tension, they would flap in the wind. After awhile, the increased stress on the banner would cause them to tear. So many banners, which were otherwise in good shape, would have to be thrown away because the hardware was not stable enough. Why fiberglass? The inspiration actually came while learning to fly fish. The fiberglass rod was so sturdy yet extremely flexible and durable. In banner bracket applications, pultruded fiberglass helps dissipate the force from the wind when the rods are flexed. This puts less tension on the light pole and its base. The vibration that comes from continuously strong winds or sudden gusts is also absorbed by the fiberglass, which is a lot easier on the hardware and the pole to which it’s affixed. At BannerFlex, we are innovators and industry leaders. 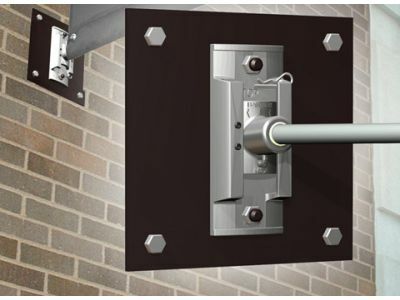 There is no doubt our banner bracket hardware is made with the highest level of functionality and resilience. The Kalamazoo community is very important to us, which is shown in our commitment to using the best available technology to manufacture our products locally. Most of our manufacturing is done in house or right down the road. Please feel free to contact us today with any questions!